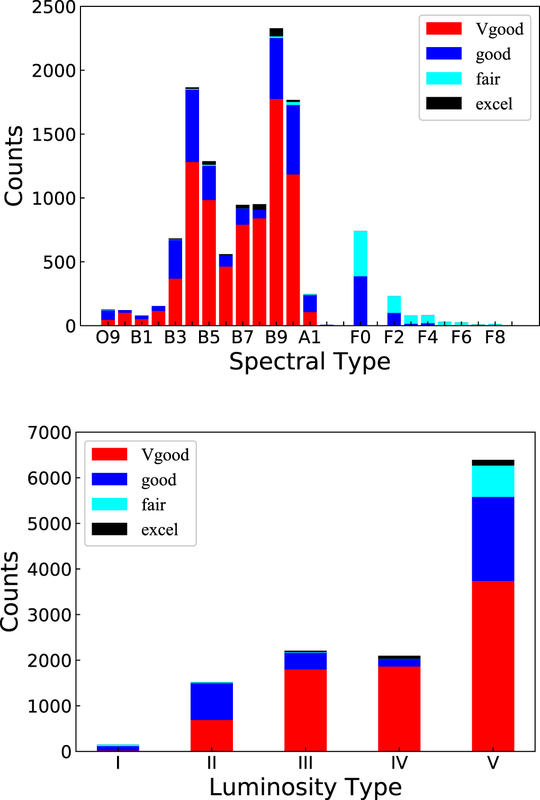 Distribution of the spectral types (top panel) of the OB stars obtained from MKCLASS. The bottom panel shows the distribution of the luminosity type. The quality flags are represented by different colors.